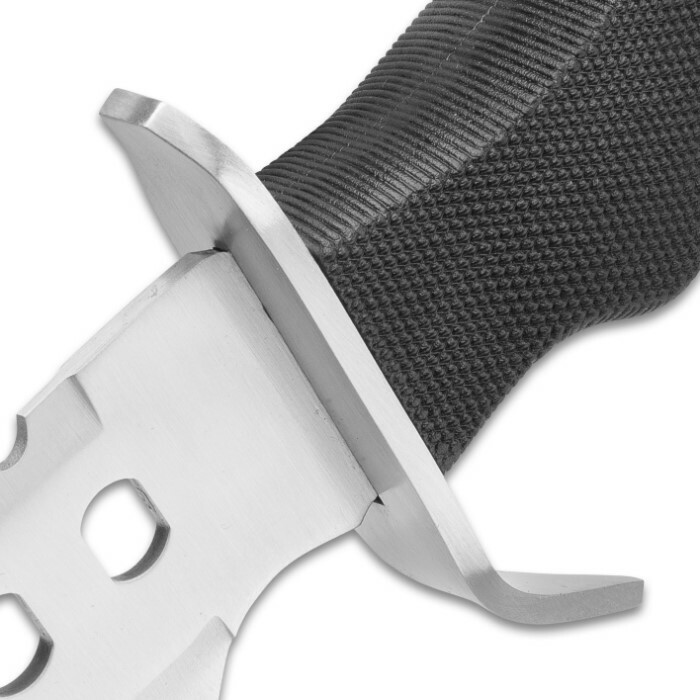 SOA Scourge Tactical Bowie / Fixed Blade Knife - Stainless Steel - Molded Handle with Textured Grip - Heavy Duty Nylon Sheath - Tactical, Survival, Outdoors and More - 13" | BUDK.com - Knives & Swords At The Lowest Prices! 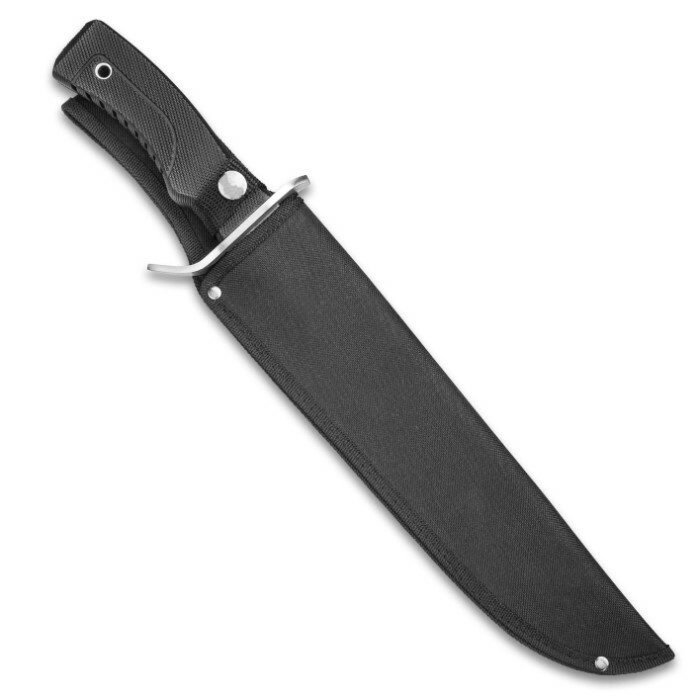 SOA Scourge Tactical Bowie / Fixed Blade Knife - Stainless Steel - Molded Handle with Textured Grip - Heavy Duty Nylon Sheath - Tactical, Survival, Outdoors and More - 13"
The sinister-looking SOA "Scourge" Tactical Bowie Knife packs a nasty attitude and serious muscle to back it up. From suburban backyards to remote back country, it's a valuable, effective fixed blade that's more than capable of tackling the toughest cutting, cleaving, slicing and hacking jobs in the harshest environmental conditions. And best of all - in spite of its awesome power, rock solid build and smart design, SOA's Scourge is surprisingly affordable! But don't let the price tag fool you - the Scourge makes no sacrifices when it comes to raw cutting potency and fiendish, downright frightening style. 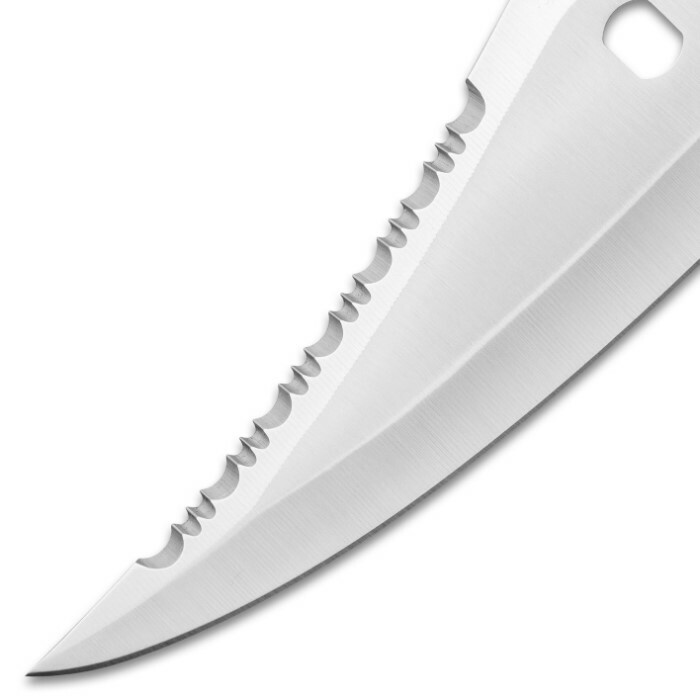 The razor sharp stainless steel blade is especially menacing, boasting distinctive through-holes and bitter serrations along the clip point spine. But make no mistake - the Scourge's fierce blade doesn't just look threatening; it's remarkably versatile and loaded with real-world cutting clout. The blade's two distinct blade edges make the Scourge well suited to a vast range of cutting applications, from simple everyday jobs around the house, to vigorous tactical or field work in remote locales. Regardless of how or where you use it, the Scourge is always a pleasure to wield, thanks to its impeccable weight distribution and robust, ergonomically molded handle with textured no-slip grip. 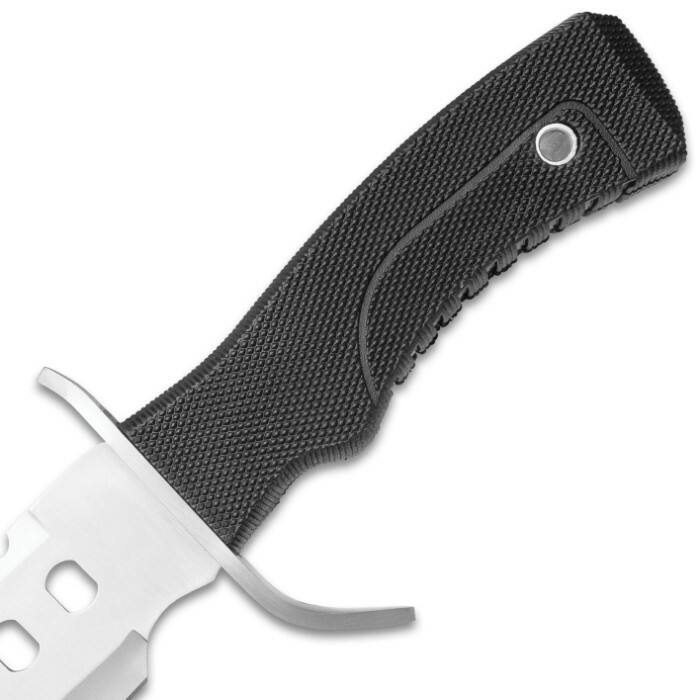 The handle also includes an integrated lanyard hole, that, combined with the included nylon belt sheath, provides versatile transport options. 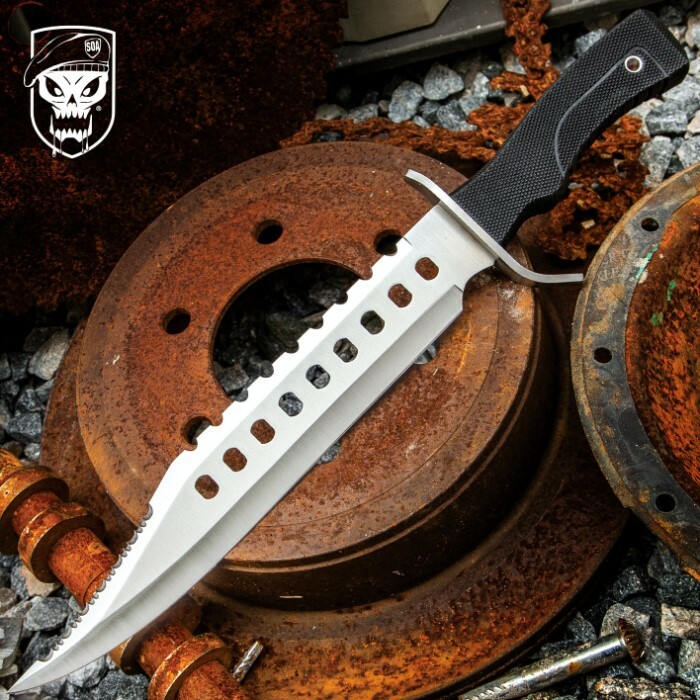 SOA's incredible Scourge Tactical Bowie Knife has the quality construction and outstanding features you need, at a price that can't be beat. You simply won't find a fixed blade knife of this caliber priced so astonishingly low anywhere else. So don't waste your money - be the "scourge" of your enemies and add this tactical monster to your arsenal today! For the price I was expecting alot less. The knife is well balanced with a ruberized grip. Sharp out of the box! This knife is a very good one, for the price it's very,very good! Big,bad looking,sharp,a decision maker.